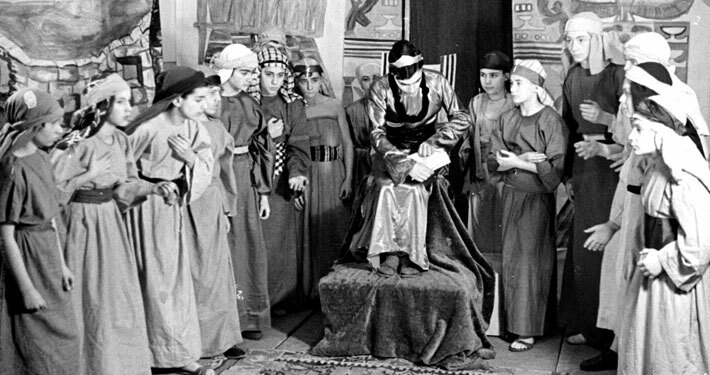 A children play, performed by a Jewish rural school, Potsdam, 1934. Courtesy of: Yad Vashem Photo Archive. 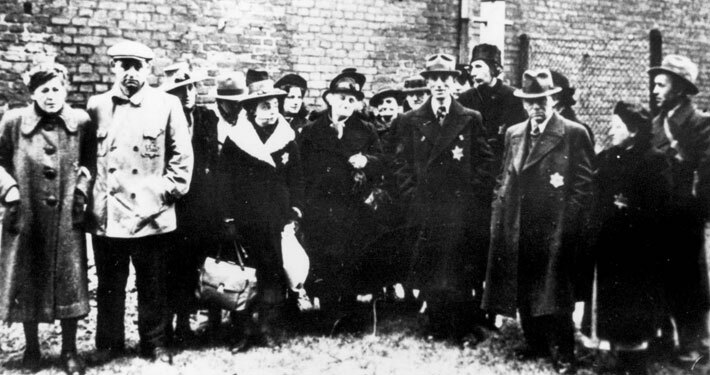 Jews of Brandenburg being collected for their deportation in November 1942. Courtesy of: Yad Vashem Photo Archive. 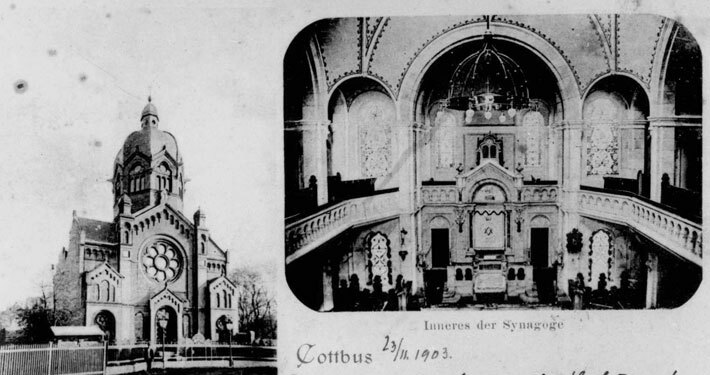 The synagogue of Cottbus, 1903. Courtesy of: Yad Vashem Photo Archive. 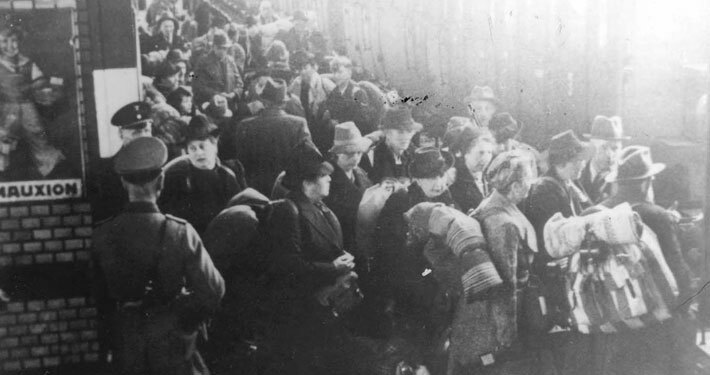 Jews of Eisenach before boarding the train for deportation to Belzyce, Poland, 1942. Courtesy of: Yad Vashem Photo Archive. 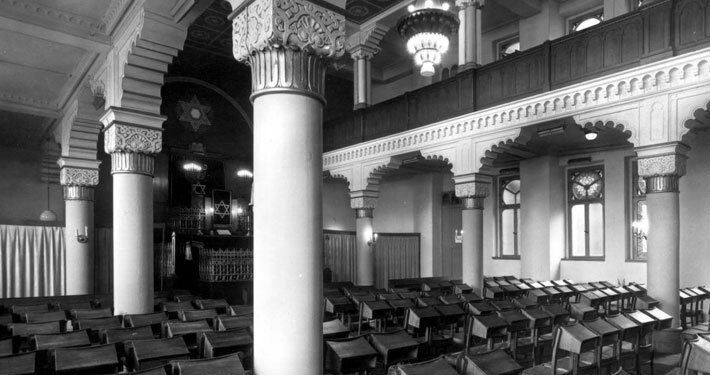 The interior of the Keilstrasse synagogue of Leipzig, undated. Courtesy of Yad Vashem Photo Archive. 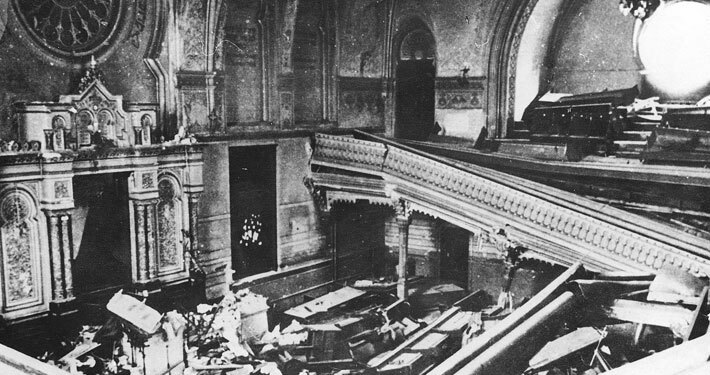 Destroyed interior of the Magdeburg synagogue after the Kristallnacht pogrom on November 9th, 1938. Courtesy of: Yad Vashem Photo Archive. The aim of this website is to memorialize the tradition and the history of the synagogues and prayer halls in East Germany, as well as the communities affiliated with them. It documents, in words and photographs, their history, from the beginning through their golden age and until their destruction. This website consists in large parts a manuscript with the institution's findings but also of additional research conducted by German archives and local historians who contributed their knowledge to "Beit Ashkenaz". The project manager is Ms Elisheva Shirion MA, large parts (in German language) had been researched and written by Ms Sigrun Marks and Ms Wencke Lehneis MA and (in English language) by Dr Heidemarie Wawrzyn. This work was kindly supported by grants of the Conference on Jewish Material Claims Against Germany.